So You Booked a Winery Tour. Now What? Use the weeks or days leading up to your winery tour to plan your adventure but don’t over plan it. A good winery tour should be relaxed and not feel too scheduled. It is better to plan out a list of the wineries that you would like to visit, maybe even in a specific order, but nothing scheduled except for the first one (start time). For a full day event, we typically recommend you identify four or five vineyards that are relatively close to one another and then pick a start time at 11am (its 5 O’clock somewhere right?). That is it! The only other suggestion we make is to make sure the second or third winery you want to visit has a restaurant or food option other than cheese and crackers (eat a good lunch…You will be glad you did!). How do you choose the wineries? First, you will want to pick the area you want to visit as this can greatly help in narrowing down the list of vineyards. 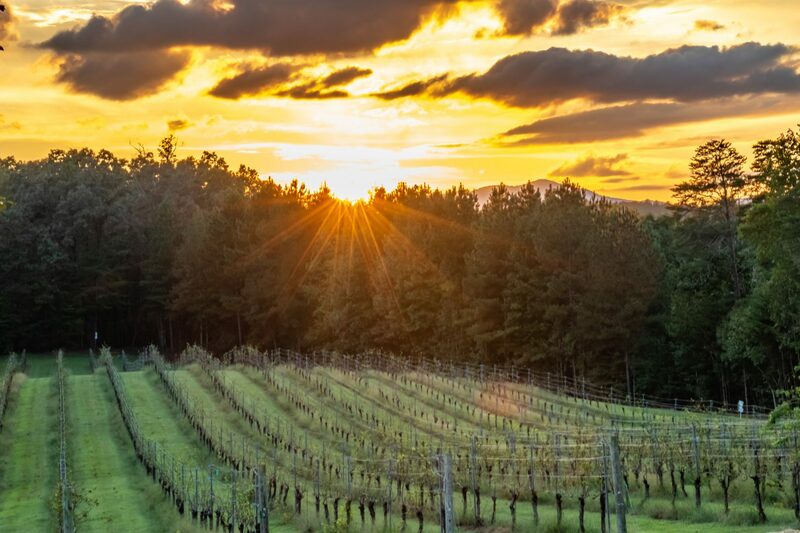 If you visit a newer winery area, like the Tryon area of North Carolina, there are only five wineries in the immediate area which makes the selection very easy. If you are heading to the Yadkin Valley, where they are a lot of wineries, it narrows it down some but not enough. For an area like that you probably want to either check online or, if you are using a service like the Van in Black, ask your tour company for some recommendations. There are also some published wine trails online that you can use as a starting point. Once you have the basic idea of where you want to start, you can use the search engines to narrow it down further. On Google Maps you can actually use phrases like “Wineries near XXXXX” and it will show you exactly that. Examine wineries that are close and check out their ratings, view pictures, and read the reviews. Using this information you should be able to easily come up with a good list of wineries you want to visit. On the day of your winery tour the most important thing to remember is to relax and have fun. There are going to be things, like the weather, that are out of your control but no matter what happens, just relax and have a good time. Remember that it is more about the experience versus trying to cram in as much as you can. You may get to a specific winery and really enjoy everything about it; the wine, the atmosphere, the view, etc. If that is the case, hang out and enjoy the moment. Don’t worry that you might not make the last winery on your list. Not a big deal! Visit it next time. In addition to the wine you will be drinking, make sure to have plenty of water too. The Van in Black always keeps a cooler in the back with waters in case anyone needs one during a tour. You don’t want to have an empty stomach so make sure you eat lunch and have some snacks handy. Pretzels are a good choice for snacks. Make sure you meet and visit with other people at the wineries. You will make new friends and learn about other wineries they have visited. Take lots of pictures! If you are on a tour with the Van in Black and you post them on Instagram, tag them with #VanInBlack so that we can see them too! Claudia…Please contact us to discuss the specifics of your needs while you are in Charlotte.